Matthew Moloshok’s practice covers a wide range of commercial and litigation matters, both civil and criminal. These include antitrust litigation and counseling, contracts, commercial disputes, partnership, corporate and joint venture disputes, securities offerings and litigation, franchising and dealerships, equipment sales and leasing, white-collar criminal matters, environmental and land use litigation, employment discrimination and civil rights, and bankruptcy litigation. Mr. Moloshok is former chair of the American Bar Association Antitrust Section’s Franchise and Dealership Committee, and is currently Associate Editor of The Antitrust Source, an online journal. He speaks and writes frequently on topics in franchising, antitrust, securities and trial issues. 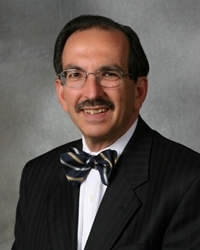 Among other works, he authored the chapter on New Jersey Antitrust Law in State Antitrust Practice and Statutes, 2nd Edition (ABA Antitrust Law Section, 1999), chaired and moderated the program “Redistribution of Power: Antitrust Implications of Internet Distribution of Goods and Services,” (ABA 2000 Annual Meeting) and co-edited the ABA Section of Antitrust Law, The Franchise and Dealership Termination Handbook (2004). Mr. Moloshok is a member of the Bars of New Jersey, New York and Connecticut, as well as the state and federal trial and appellate courts in those states. Publications and Presentations: Author: "Business Opportunity Litigation: Issues & Strategies," 11th Annual Forum, ABA Forum on Franchising, 1988; "Summary Disposition of Material Misstatement Issues in 10b-5 Claims," ABA Litigation Section, Committee on Securities, Securities News (Summer 1993); "Practical Approaches to Termination - From the Dealer/Franchisee Perspective," ABA Antitrust Section Annual Meeting, 1995; "Constraints Against Termination of Dealers and Franchisees," The Antitrust Source (January 2006); "Franchise and Dealership Arrangements-in the Antitrust Cross-Hairs," Global Competition Review Special Report-2007 Antitrust Review of the Americas (September 2006); "Dr. Miles-A Rock of Ages," The Antitrust Source (February 2007); "Resale Price Maintenance-The New Frontier in Franchising?," Global Competition Review Special Report-2008 Antitrust Review of the Americas (September 2007). Co-author: with Stuart Hershman and Richard J. Wolf, "Problems in Supplying the System," 20th Annual Forum, ABA Forum on Franchising, 1997; with Michael J. Lockerby, Diane Green Smith, Ellen R. Lokker and Wayne A. Mack, "Antitrust Class Actions," ABA Antitrust Section Spring Meeting, 1999; with Jonathan L. Goldstein, "Antitrust in IP Licensing: Concerns and Considerations," in ALA-ABA Course Intellectual Property Licensing in Today's Economy, 2002, 2003. Program Chair and Moderator: "The Antitrust Injury Doctrine," ABA Antitrust Section Spring Meeting 2002; Co-moderator, "Redistribution of Power - Antitrust Implications of Internet Distribution of Goods and Services," ABA Antitrust Section Annual Meeting, 2000. Contributor: Franchise Protection: Laws Against Termination and the Establishment of Additional Franchises (ABA Section of Antitrust Law, Monograph 17, 1990); State Antitrust Practice and Statutes, 2d ed. ABA Section of Antitrust Law (New Jersey chapter, 1999); The Franchise and Dealership Termination Handbook (ABA Section of Antitrust Law, 2003). Associate Editor, The Antitrust Source, 2002—.